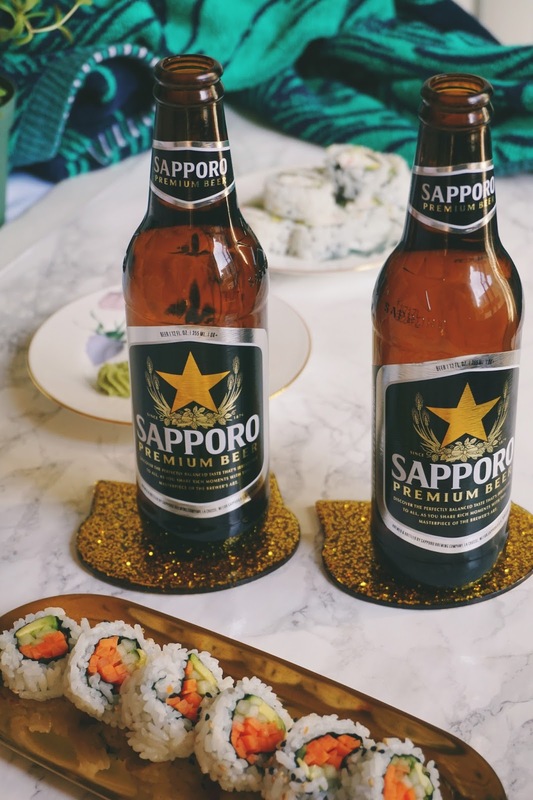 This post is sponsored by Sapporo USA, but the content & opinions expressed here are my own. Sushi is everywhere. It's cool. It's popular. It's pretty. There are whole documentaries about the art of sushi. But guess what? Up until a handful of years ago, I never had sushi. Crazy, right?! As a vegetarian who doesn't eat meat, poultry, or fish, I figured sushi would never be a part of my life. But I was wrong. Really wrong. 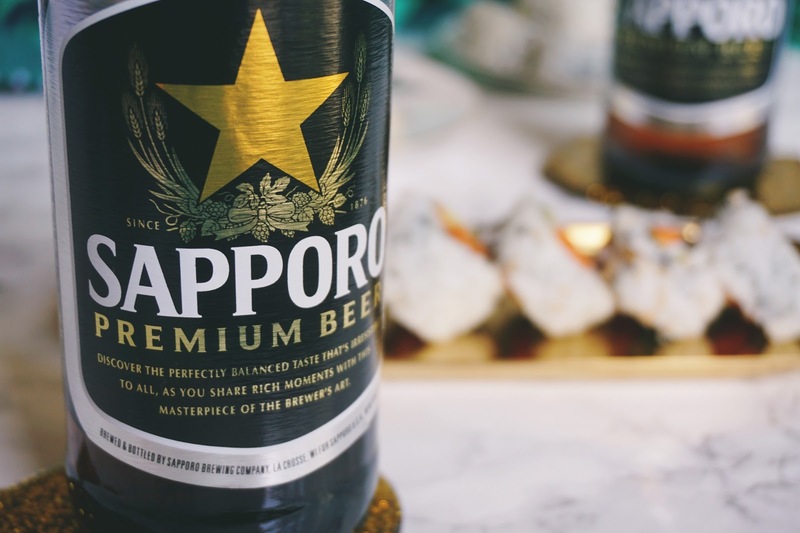 "We sell the Sapporo beer at the sushi restaurant where I work.😄 People love it." 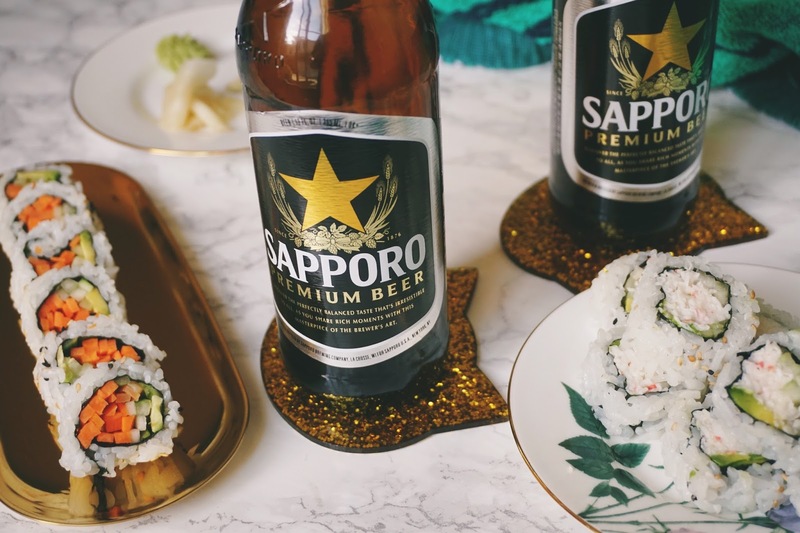 "My husband always orders that beer when we go for sushi." "I enjoy this beer off the tap. 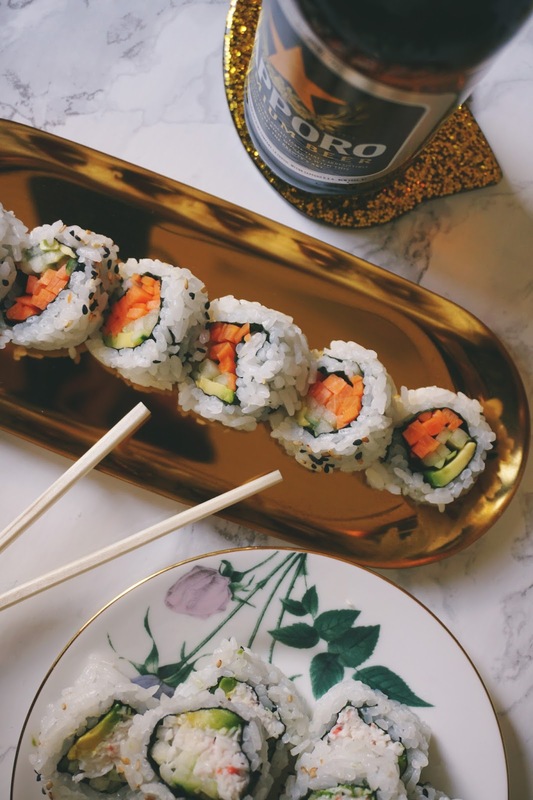 Mmmmmmm 😍"
Do a simple search online for "vegetarian sushi" or "vegetarian sushi near me." See which options are close to you. Look up news articles or blog posts with similar key words to see what's trending. 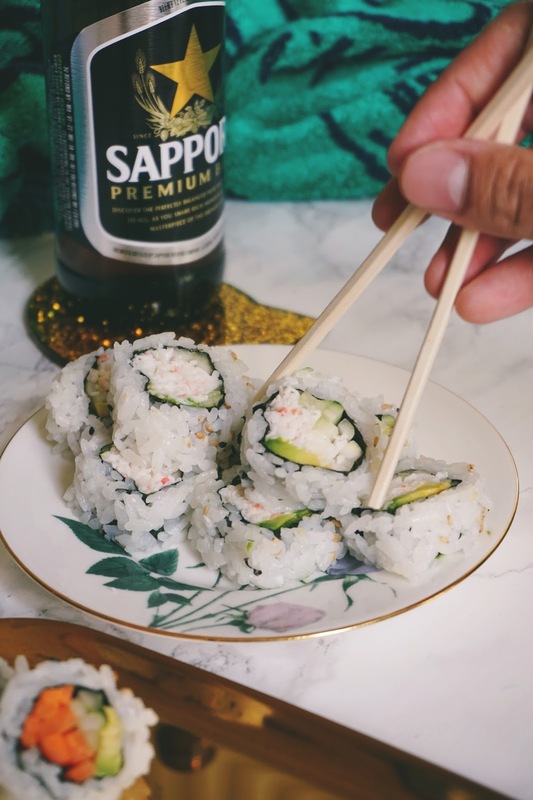 Search your favorite social media site for "vegetarian sushi" or #vegetariansushi. Restaurant review sites are a great resource since they have search tools to help look up relevant restaurants by their rating & distance. You can filter it by city, price, whether you want to order for pick up, highest rated, best match, most reviewed, & more. Many restaurants share their menus on their website so you can peruse the menu before you even leave the house. When you're checking out vegetarian options online, click on their official website & then their menu. Browse first, decide later. 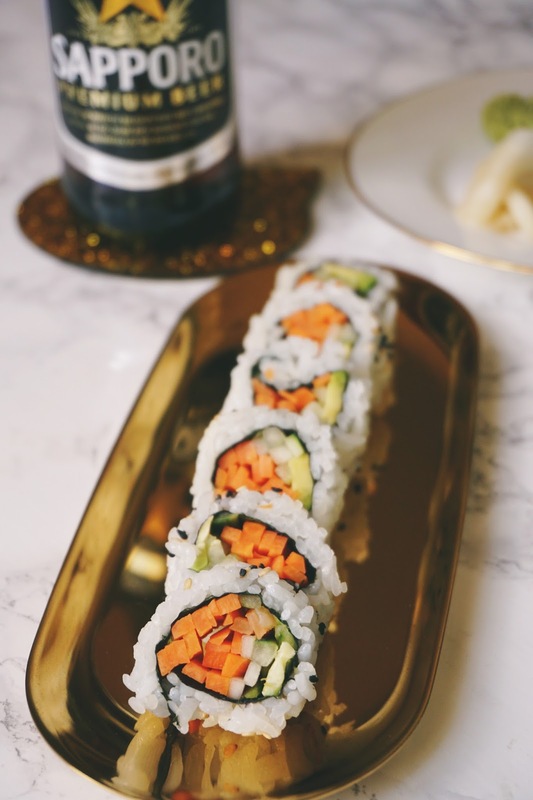 A couple of my favorite vegetarian sushi options are the vegetable roll (pictured here), vegetarian tempura roll, cucumber roll, & avocado roll. 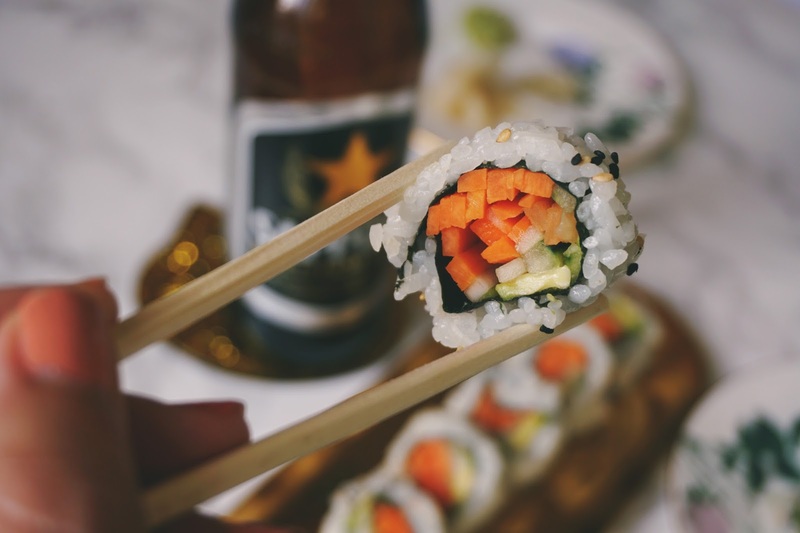 Vegetarian sushi often involves avocado, cucumber or some veggies like carrots, asparagus, & lettuce. Fred does eat fish, so he opted for a California roll on our sushi date this week. 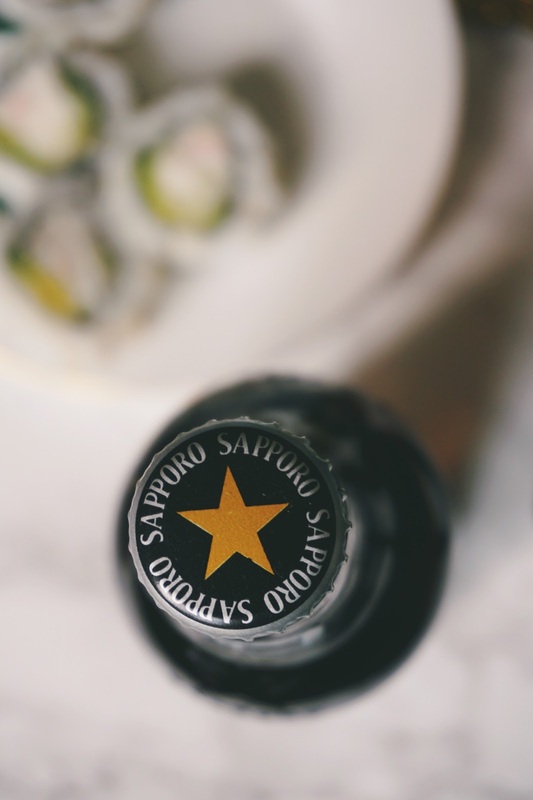 We almost always have Sapporo Premium beer when we get sushi, so it's something I associate with our dates. Now that I look back, it became one of our earliest traditions. Sushi & Sapporo in a quiet corner of the restaurant. 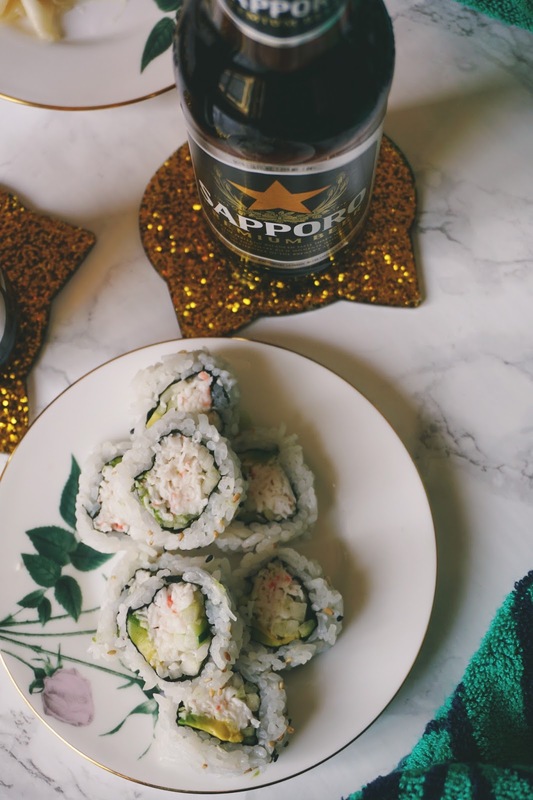 Sapporo's crisp, refined flavor & clean finish pairs well with something creamy like an avocado roll. It's my go-to pairing. Mmmm! I love sushi, but you're totally right. Unless I make it at home, veggie sushi is super hard to find! Love your tips and will definitely put them into practice the next time a craving hits! I will eat any kind of sushi and anytime! I love vegetarian sushi, too! It's so tasty! I love sushi! I ate it all the time when I lived in Japan. I became vegetarian about a year and a half ago and I love making my own vegetarian versions now. Yum! Sushi is so delicious! I'm glad you found vegetarian sushi and love it! Now I'm craving sushi! I'll have to try that beer too! Being vegan, I eat a lot of veggie sushi. My husband isn't into it though so I get it at a nearby Whole Foods or make it myself. I like to substitute quinoa, cauliflower rice, or parsnip rice for the usual white rice. We run the gamut on sushi in my family. I love the veggie hand roll. I miss sushi (can't eat it because I'm pregnant) but vegetarian sushi I probably can! Thanks for the ideas, and advice! Three years. It was amazing! I am vegan, so I have had vegan sushi many times. I usually buy it at Whole Foods, or make my own. I love inari, which is something I have yet to make.